Ladies and gentlemen, this 'IS' the holy grail of vintage harmonica microphones. Let me introduce to you the identical mic that little Walter, yes, Little Walter used in the 60’s. You really can’t find these, certainly not boxed and unopened; it still even has it cellophane on! A truly one off chance to own a piece of blues harp history. There are very few pictures of Walter holding a mic, hence the mystique as to how he got his sound. Out of these few pictures this is the only this mic that is distinguishable and has become known as the Little Walter mcirophone. Feel free to check this fact out. So original is this mic it doesn’t have the jack plug fitted, this is how it will be sold , 100% original. When ready, plug into your vintage amplifier, take hold of your best harmonica and play like you've never played before, I mean this as you may never get the chance again. The Monarch MC-24 plus amplifier plus a lttle bit of YOU, together vintage microphone heaven! 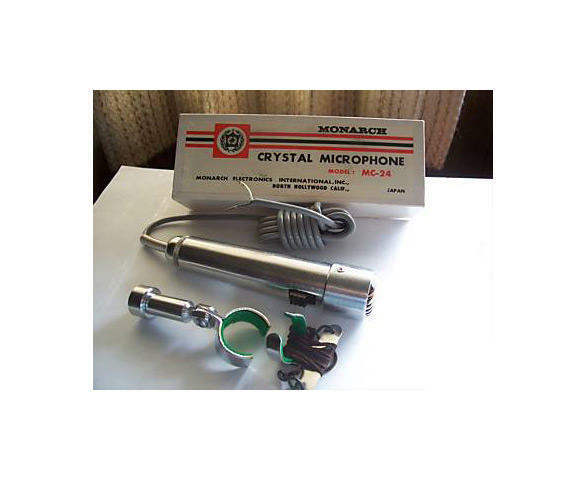 Best vintage harmonica microphone to buy.